Editors Note: It’s my pleasure to share a Copywriter Today review that one of lovely customers Melissa Stanford shared with us today. I hope you enjoy! No matter what type of online presence you have, you know that the adage of content is king is true. Businesses cannot afford to ignore their blogs and other areas of content on their website as consumers might just assume that it’s out of business or out of touch with the industry. Plus, Google may not continue to give your website a high ranking if your content isn’t recent meaning it may be harder for visitors to find you. Affiliate marketers need new and fresh content to attract the attention of new visitors to your information. Your bottom line is directly related to your content. Creating quality content often enough to stay fresh isn’t always the easiest thing to do when you consider everything that you need to get done in a day. I know that often I’m scrambling to have enough hours in the day to handle all of the things that I need done and that there’s still plenty of things on my to-do list at the end of the day that gets moved over to the next day in my calendar. A lot of the time, this happens to be my writing tasks to get new content for my websites. That means another day or so would pass before I would be able to post anything new, and the possibility of being passed over in searches because of it. In fact, I would often find that I would have to squeeze in time to make sure that I wouldn’t go over a week with no new content. Delegation was something that I wasn’t comfortable with as it’s hard for me to let go of my tasks to someone else. There’s always that feeling that what I delegate isn’t going to be completed as well as I would’ve completed it. It was a bit hard for me to get over this feeling when I started my membership with Copywriter Today, but their money-back guarantee was what pushed me over to give it a try. I figured that I had nothing to lose in case they couldn’t deliver on the level of quality content that I could create for myself. If it worked out okay, I would have fresh content and a smaller to-do list. It more than worked out okay, and I’m very happy with the investment that I’ve made in this service. Let’s take a deeper look into why I’m so satisfied to help you decide if this is what you need in your life. Just about any content company will help your business with blog posts, articles, and whitepapers. At Copywriter Today, you can also get eBook outlines, eBooks, Press Releases and more. To top that off, they also offer a headline service. This is a very cool service that I use often. There’s plenty of times where I either don’t know what exactly I want to write about or just don’t have time to think about what topics I want to be covered. With the headline service, they will suggest to you what kinds of headlines would be good for your company based on your niche, current trends, and other data to give you some ideas on what should be added to your project queue. I love being able to use this service to fill my order queue without having to spend a great deal of time determining what I want content-wise for the coming month. It’s almost like making a crock-pot meal where you just add the ingredients, and the crock-pot takes over in ensuring that dinner is done. Another of the beautiful things about Copywriter Today is that it has relatively easy to understand pricing. They offer a monthly subscription for 297 dollars that provides you with an unlimited amount of articles based on the established turnaround times for the article lengths that you’re looking to have published. So, you could have about 11 400-word articles completed in a month for your unlimited monthly subscription as they have a two day turnaround time whereas you could get about five 1,500-word articles during the month as they have a four day turnaround time. You can get started with four open orders when you sign up, but note that each of these orders will be worked on in the order given with one order being completed at a time. There’s also an option to add a rush to one of your order if for some reason they’re time sensitive, and this feature will cost you an extra fee but can be worth it. As your four orders are filled, you’re able to fill your queue back up until you have four open orders. Don’t panic if you think that this service isn’t offering enough articles in a month for being an unlimited subscription. I know at first I thought that this wouldn’t make as big a dent into my to-do writing list as I would’ve liked, but you’re not limited to just one subscription. You’re able to purchase more than one, and this will give you more articles every month. You could set up several subscription plans and have one for your headlines and short articles, one for your 800-word articles, and one for the longer pieces over 1,500 words. The sky’s the limit with being able to handle all of your content in a month. The Copywriter Today process may seem overly simplified, but that’s a good thing. You log into your account and enter in the orders that you want to be completed in your queue. There’s not a lot of flash to the interface that you use to interact with the service, but bells and whistles aren’t needed here. In fact, for the money you pay, it’s better to have top quality writers than pay for bells and whistles that aren’t really necessary. Your order gets entered into the system with your instructions, and then, a content manager will match your order with the best writer for the job based on their qualifications. The writer logs into their account to access your order and can see all of your instructions to create your custom article. There are high-quality standards in place that the writers need to follow in writing up your piece, including reading their work out loud and running it through plagiarism software, and then, your work is sent to an editor. Once your article is complete and has gone through the quality control process, it’s sent back to you. The greatness of Copywriter Today is that once you get your article back, if it’s not to your standards or is missing the mark, you can send it back for revisions until it’s exactly how you want it to be. Unlike sending back a meal to the kitchen, you’ll get an article that fits your needs without having to worry about negative ramifications like spit in your food. One of the keys that I’ve noted that helps get an article back right the first time around is the instructions given. If you’re not too worried about how a topic is covered or the tone used, you’re probably okay to go easy on the instructions and let the writer take over. This is their chosen profession and skill set after all. However, if you want a piece to work in a particular way, it’s a good idea to be exact in your instructions. It may seem like extra work, but in the long run, it’s well worth it not to have to deal with revision requests. One thing to note here is that the writers only work Monday through Friday, so that cuts into the amount of days you have in the month for a turnaround time. It can also mean that if you want content during the weekend, you’re going to need to make sure that you schedule it before the weekend hits. One of the things that separate this company from all the other companies out there is the writers. As this is a company based in Ohio, they seek to find only American natives with a grasp of the English language and the polished wordsmith skills. Indeed, the recruiting process for being hired as a writer isn’t a walk in the park like for some of the other content providers. There are a number of steps that need to be completed correctly in order to be considered as a writer, including providing writing samples and an interview. Once hired, these writers use AP writing style to complete your orders keeping them uniform in the way that they are written up. They go through regular training sessions to ensure that they are up to date on the science and art of writing along with all relevant policies in the company. One of the biggest sells for me is the personalized service. No one likes those services where you try to contact them about a question or an issue, and either hear back too late or never hear back at all. That’s not an issue with Copywriter Today. Their staff is helmed by the company’s founder, Gabe Arnold, who is always ready to get into contact with clients. Then, there’s the wonderful Tawnia, who helps Gabe keep the ship running smoothly. This service ranks so highly for me because of the fact that there’s not too much of a wait time between me firing off an email and getting a response. There are plenty of other content providers available online that offers many of the same services as Copywriter Today, but in most situations, it doesn’t compare. You may be thinking that since the Copywriter Today unlimited subscription program is indeed limited based on how often you can add articles to your open orders, and the amount of time it takes to get your articles back, it may not hold up to the other content providers. I’ve gone with some of the more popular content providers where you pay per piece, and there are differing levels of quality. If you want the more quality writers, you’ll be paying a higher price for these services whereas with Copywriter today, all of the writers have gone through a thorough vetting process. The amount you pay in the subscription grants you access to the entire writer pool with all highly qualified writers. In many of those other content writing services, the writers pick their own articles, so you don’t have the assurance that the best writer for the job is picking up your article to work on. With Copywriter Today, your content is matched up with the right writer for the job through their prior experience, knowledge, and strength in your niche. You may be thinking that you could get a similar set-up if you go through one of those freelance bidding websites to find some writers. That means that you’ve got to be willing to go through the whole rigamarole of posting your request, going through the process of sorting through all the bidders that want to work with you, and hoping that you pick the right one that actually delivers your articles when they are supposed to do so without needing any revisions. Hopefully, you remembered to address what would happen with revisions, so you’re not stuck either paying more to get your work as you wanted it, having to fix it yourself, or hiring another writer to fix it. There’s none of that with Copywriter Today. You know that a top quality writer will be working on your article and that it’ll be done on time with the confidence that it will fit your needs with the included revisions. – Unlimited subscription plan that can be purchased several times over to get to the right amount of content for your needs. – You choose the length of your content, and you aren’t locked into only doing one particular length for the entire month’s subscription. – Variety of services available, including the headline service that can help to keep your order queue filled and ready to churn out the blogs and articles you need. – Money-back guarantee in case you find the service doesn’t fit your needs after you sign-up. – Knowledgeable and professional writers that go through a rigorous hiring process. – A professional matching process to get the right writer for your articles. – Top-notch customer service with rapid response times. – Easily able to contact top members of the company. – Revisions are welcome, and part of the package that you’re paying for already. – Able to get faster turnaround for a premium price. – No dealing with having to hire writers, and worrying if they will deliver. I would love to say that there are no negatives to this service because I enjoy using it so much, but that’s not true about any service. There are a few things that could be a deal breaker for you. – If you don’t fill your queue with orders, you’re throwing away your monthly subscription money as you’ll be charged for that month. – The unlimited subscription isn’t exactly unlimited. You may need to get more than one subscription to handle your content, and the amount you need may change. This means that you may need to keep track of when it needs to be canceled if you only need the extra subscription for a short period of time. – Good instructions are needed to get exactly what you want which may take extra time. – Writers may not always follow the instructions, and you may find that the revision process may be more time-consuming than you’d like to get the content back correctly. – You may need several subscriptions rather than just having different subscription plans. – Quicker turnaround time is extra on top of your monthly subscription rate. – Your content may be written by more than one writer, so the tone and voice may differ from article to article. If you are in dire need of a steady stream of high-quality content, then I feel that this is the right service for you to use. I no longer have to worry about where my next article idea is coming from or when I’m going to fit in writing it. I don’t have to go through the process of trying to get quality writers bidding on my projects at my budget level. I always have the content that I need when I need it, and I never worry about any issues with the content not being exactly what I want since I can submit for revisions. 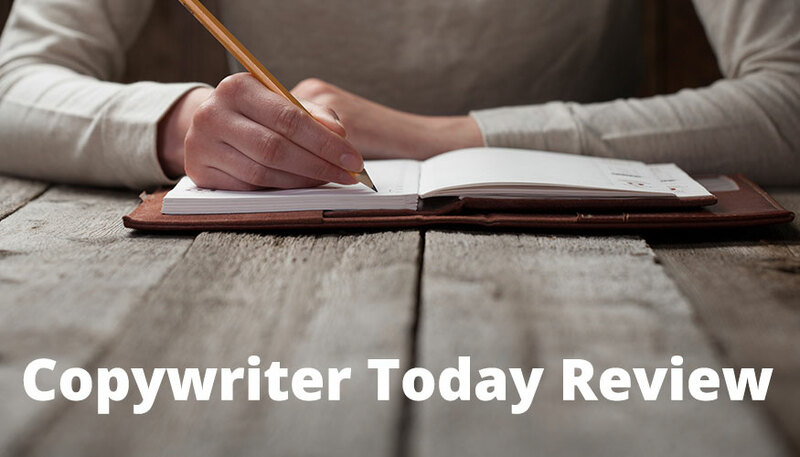 Check out Copywriter Today for yourself to see what I’ve been raving about in this review.